A blog/diary about my life and my journey. From the point of view of a young southern Christian single mama. Hey y'all! Valentine's Day is just around the corner. For some of you that may be read as a gooey, happy sentence. Some it may produce feelings of dread. Or maybe it's no more exciting or depressing for you than any other day of the year. Whichever category you find yourself in here's some of my all time favorite love songs. In no particular order of course! There's just something about this song that is so sweet and beautiful, and then you add in the scenes with Ryan Gosling and Rachel McAdams, and later the scenes with James Garner and Gena Rowlands. It's the ultimate love song. I wouldn't call Click the classic love story, but there's an adorable scene with Adam Sandler and Kate Beckinsale where he's looking back on when they were just dating. Linger is playing softly in the background. The scene is great if for no other reason than getting to hear Adam Sandler try to sing along to Linger. Not only did Love Story, which was a book originally, give us one of the best lines to quote randomly. "Love means never having to say you're sorry". It also gave us a song of the same name that is just as memorable. This song has been making the rounds again in the last few years. If you do a quick Google search you'll find tons of well known artists that cover this Bob Dylan song. This is probably my favorite. The choir makes it so full and intense, and I love that they used this for Crosby and Jasmine's wedding, sorry for the spoiler! I love the Lea Michele version that she sings in honor of Cory Montheith as well. If you've seen Oklahoma you know it has some strange songs, this isn't one of them. It's beautiful as an instrumental arrangement, but the lyrics are wonderful as well. I mean it's Rodgers and Hammerstein. Obviously songs that had the same title as their movie was a huge thing in the 1970s. Although The Way We Were kicks it up a notch and has it performed by the film's star, Barbra Streisand. Once you hear the song you'll be dying to see the movie. It's science. Or love. Or Barbra. I feel like they should just retitle the name of this song "The Ross and Rachel Theme". Who doesn't remember Ross desperately calling the radio station to request this song for Rachel to fix everything between them? Who else wonders why he thought she would totally hear that song? Did I miss that part of the 90s where we waited with our boom boxes for someone to fix everything with a U2 song? Still one of my favorites. 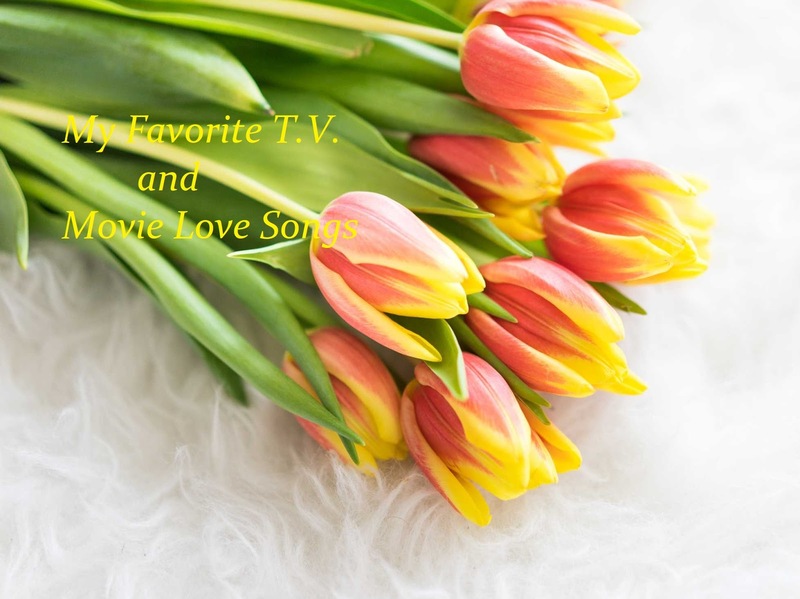 What are your favorite love songs? Are they from a movie or t.v. show? You've probably seen the pictures that say something along the lines of "leggings are not pants " or maybe you've just thought it yourself. Well I'm here to tell you something that might be shocking; legging wearers don't care. I'll admit at one point I was on the fence about leggings as pants. After all leggings aren't "technically" pants. At the same time though, that's the beauty of leggings, they're not pants but they can take the place of pants. My love affair with leggings was a slow burn you could say. It started with wearing them under skirts and dresses in the middle school years. I treated them as merely a thicker form of tights. Who remembers that trend? Cropped leggings anyone? Then it transitioned to tunics and long shirts. Somewhere along the way I was a full blown leggings and a sweater girl. Now I don't bat an eye about going out in leggings and a regular hem shirt. Why would I? I've never shied away from wearing a bathing suit at the beach or pool, and even the most conservative bathing suits show more than a pair of black leggings do. I have nothing to hide, and neither do you. Embrace the legging. For one thing, black leggings go with everything. They're the perfect canvas to work around. I don't worry in the morning about whether my pants go with my outfit, because they always do. Bonus: I never have to worry about ironing them. Leggings are basically a girl's best friend, sorry diamonds. Let's face it. Leggings are just more comfortable than most pants. I don't need to tell y'all that when you feel comfortable you are more confident. And of course when you're feeling your most confident good things shall happen. Or at least you're more likely to be open to them. So the next time you're wondering whether someone will judge you for stepping out in your leggings, just don't wonder. Instead enjoy the complete free range of motion you'll have in your leggings. Embrace the legging. P.S. Full disclosure, as I'm writing this I'm wearing jeans. All my leggings are in the wash. I feel like a traitor. Please include attribution to After The Honeymoon with this graphic.